Get a massage in our Weekend Massage Clinic! Get a 50-minute full-body massage in our weekend clinic! Call for appointment. Walk-ins also welcome. Must bring this coupon to receive this incredible deal. No cash value. DSHS #MS1055. Coupons may not be combined with any other offer or coupon. Coupon void if altered. Coupons may not be combined with any other offer. Coupon void if altered. Expires 05/10/2019. Relax and enjoy a massage therapy session at the Cortiva Institute’s Weekend Massage Clinic! Our student massage therapists provide massage therapy services at affordable rates while gaining the practical experience they need to become successful as professionals. 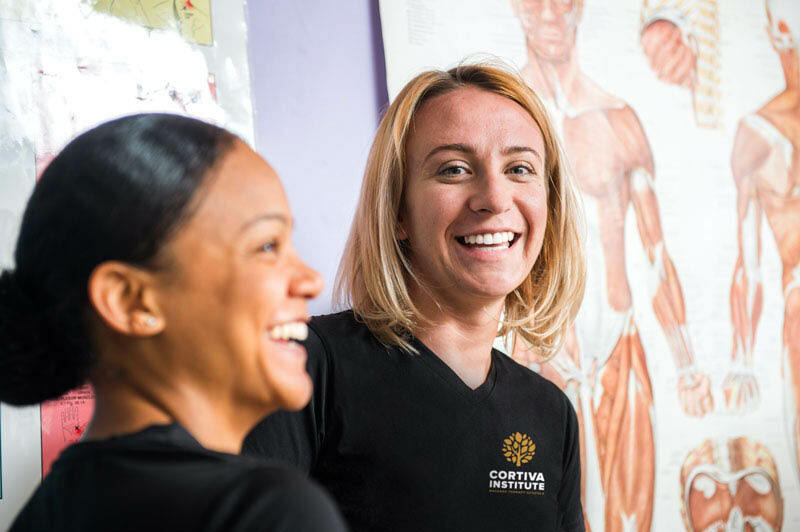 Conveniently located in Houston, the Cortiva Institute (formerly Texas Center for Massage Therapy) and its Professional Massage Therapy Program are licensed by the Texas Department of State Health Services (DSHS #MS1055). Call for an appointment. Walk-ins also welcome. Our student massage therapists receive training in:, Acupressure, Cranial Sacral Therapy, Reflexology, Sports Massage, Russian Sports Massage, Structural Bodywork, Swedish Massage, Trigger Point Therapy. The Cortiva Institute is conveniently located in Houston, TX and is easily reached from the surrounding cities of Bellaire, Pasadena, North Houston, Westside, and other Texas cities nearby.